I've been feeling really bad about how slack I've been with posting lately, so today I thought I'd do a quick Current Favourites post for you, to keep the momentum going. The first thing on my list, is my Shanghai Suzy lipstick in The Gossling Lippie. 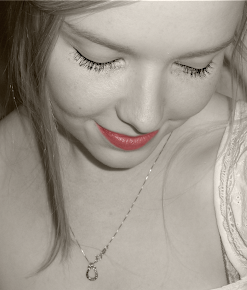 This lipstick is just so beautiful and luxurious! The colour is stunning and I'm so impressed with the formula and how long it lasts. 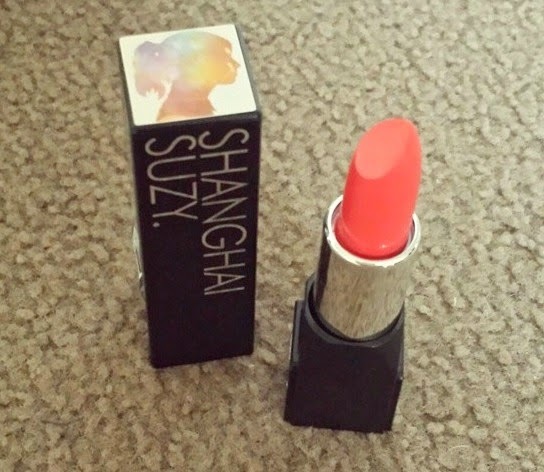 I have three Shanghai Suzy lipsticks, which I received in a goodie bag at a blogging event thrown by Sparkling Soiree. I got so many beautiful products in that bag, but I think this one is still my absolute favourite thing! Next is another little gift I received in the same goodie bag. 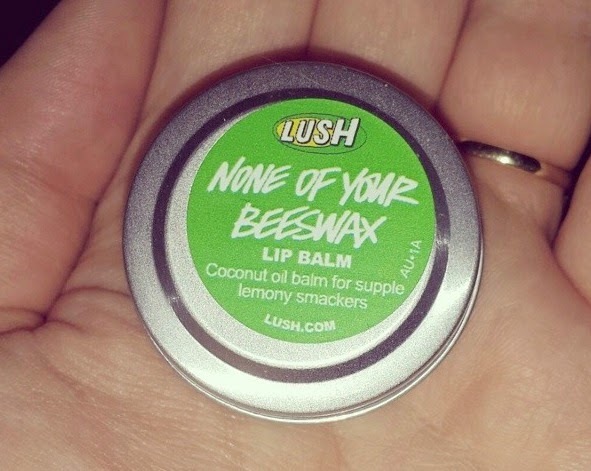 It's the None Of Your Beeswax lip balm by Lush. I've really been enjoying this one. To be honest, for the past few years, I've kind of gone off lip balms in that I really don't remember the last time I actually purchased one. I tend to stick to my paw paw ointment, or even just plain old Vaseline for my lips! But this lip balm, I love! It smells so beautiful, like honey with a hint of coconut. And like all Lush products, the formula is organic and is lovely to wear. It lasts a long time and really moisturises well. I love it! 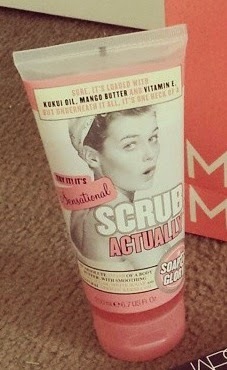 My absolute, hands down favourite bath & shower product at the moment, is the Soap and Glory Scrub Actually body scrub. I was super excited when I discovered that Mecca Maxima now stock Soap and Glory, as I've been wanting to try one of their scrubs, ever since I saw Zoella mention them in one of her videos. I picked up Scrub Actually, at the recommendation of one of lovely sales assistants, and I have been obsessed with it ever since. It smells so gorgeous - that lime and brown sugar scent that Soap and Glory are known for. And as far as scrubs go, it is one of the more harsh ones I've tried - but that is what I was after - a really good body exfoliant! I can't rave about this enough - I love it so, so much! If you read my last post, you will understand why I am including the next product as a favourite. 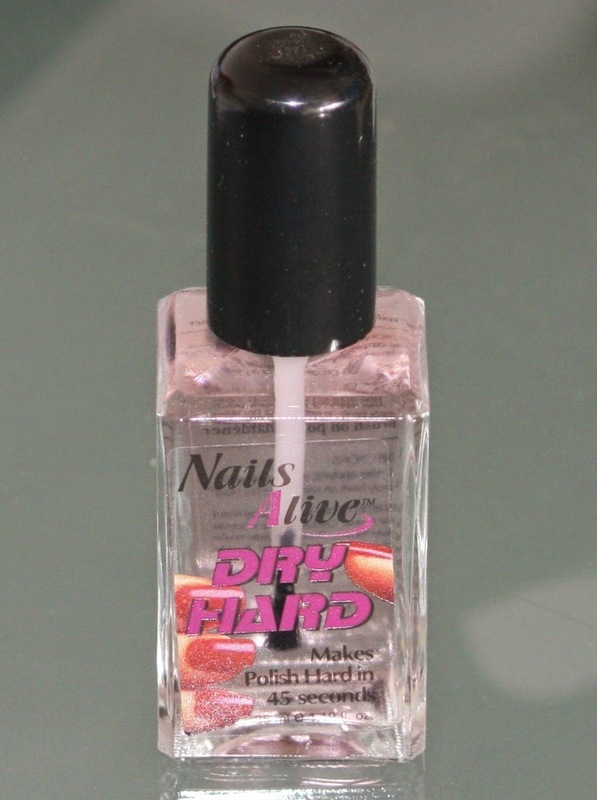 It's the Nails Alive Dry Hard top coat. I have been so impressed by this product and I was sold from the minute I tried it. I won't go on too much about it, as I have already posted a detailed review. But let's just say, I'm a little obsessed! And for a couple of non-beauty related favourites, I have to include Taylor Swift's Shake It Off - I cannot stop singing it and bopping around every time it comes on. It has to be the catchiest song around at the moment, I love it! 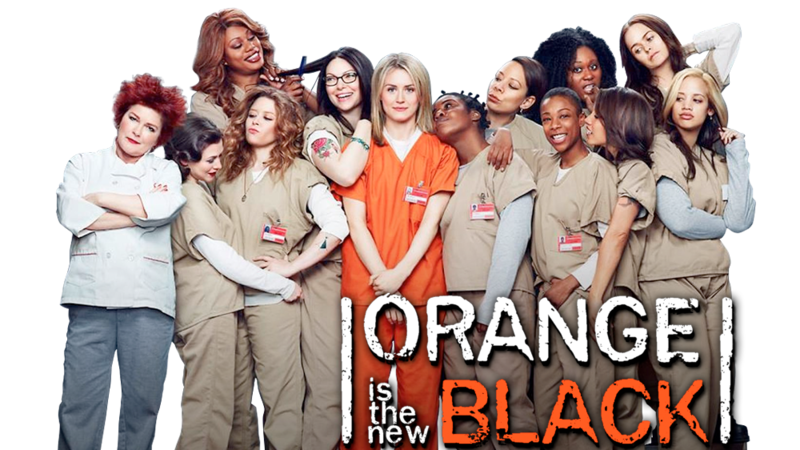 And last, but definitely not least - I have been in love with watching Orange Is The New Black! It is one of the best shows I've come across since my obsession with Breaking Bad. I can't stop watching it, I love it so, so much! If you haven't seen it, I absolutely recommend giving it a shot - if you're anything like me, you'll be hooked from the first episode! So, those are my current favourites! I'd love to hear what yours are, so please do leave a comment if you'd like to share.